Is World Ventures A Scam Or A Legit Business Opportunity? Is World Ventures A Scam Or Legit? Welcome to this full and frank World Ventures review. I’m guessing you’re here because you’ve come across the World Ventures business opportunity through a family, friend or work colleague trying to sign you up and you want to find out what it’s all about – if World Ventures is a scam or a legit business opportunity you can make money from. They sell their opportunity on the back of people’s dreams of leaving the 9 to 5 grind behind to live life to the full while traveling the world. If you put the time and effort in, World Ventures say they can give you the structure and compensation plan to enable you to be able to do just that. Who wouldn’t want to get paid for exploring the world? Who doesn’t a way out of the rat race? The internet has opened up limitless possibilities for all of us who are willing to take hold of them. Can you replace your full-time income and become a successful, independent business owner? Can you be your own self-made boss? But not with World Ventures. After researching this company I found that 80% of World Ventures representatives never make any money and for those that do, the average commission earned is $190. What’s immediately strange about this travel direct sales company is that you have to pay a monthly subscription fee just for the privilege of being a member. This puts you on the back foot before you’ve even started and might explain why 99.97% of World Ventures representatives end up losing more money than they can ever earn. Take a look at the track record of World Ventures and it’s owners and you’ll find a history of court cases and tax fraud. World Ventures is a pyramid scheme and are banned in many countries. Fans and representatives of World Venture don’t like to hear this, but ask them to try and explain the complicated commission structure and they’ll start drawing pyramids. Not only are they a pyramid scheme, they’re one of the worst I’ve come across so far and if you stick with me here I’ll show you why. If you’re looking for an honest and ethical way to make money online without needing to pressure your friends and family into joining a direct sales company then make sure you check out my top recommended make money online program here. What is World Ventures exactly? What is the World Ventures business opportunity? Should you become a World Ventures representative? Founded in 2005 and based in Texas, World Ventures claims to be one of the world’s biggest vacation MLMs offering best deals on irrestible destinations. They have grown to 110,000+ representatives worldwide and are currently operating in 24 countries. There are two sides to the World Ventures business – the DreamTrips Membership and the World Ventures Representative membership. The names may change whichever your country you’re reading this from but basically, there’s the holiday packages side and the recruitment side. DreamTrips Membership – is it worth it? The DreamTrips membership gives you access to the latest vacation packages. With 60 destinations to choose from, it’s targeted at holiday makers and adrenaline seekers. “As we traverse the world together, we are transformed by its cultures, colors and landscapes to become a part of something bigger than ourselves. World Ventures have tried to position themselves as the ‘Costco’ of the vacation industry. By paying a monthly membership they say you can find cheaper deals for hotels as they book them in bulk and save money in the long run. You have the choice of Gold or Platinum membership. In the U.S. there’s an inital $249.97 start up fee with a monthly recurring fee of $54.99 thereafter. That’s not cheap! Unlike most free comparison websites, you can only use this membership to help you find deals on hotels and accommodation. You’d think at this price flights would be included in the package holidays… but no. The fact you’ll have to book your flights seperately has caused some complaints from people who weren’t clear on this and had to cancel due to unexpected additional costs. For most of us, flights are the biggest cost factor in booking holidays so I don’t really see the point. Perhaps DreamTrips could be more accurately called DreamAccommodation…? And this isn’t my only issue. You can’t even view the prices or get an idea of what kind of deals are available without signing up as a member first. This is problematic because you have no way of knowing whether the price of the membership is worth it or not. You’re also going to be travelling in groups with other World Ventures members which means you have to choose from pre-selected dates. Whether you see this as a good or bad thing, it’s something to keep in mind. And unlike 99% of companies out there who offer a 14 or 30 day refund policy, with World Ventures you get a very measley 3 days. Already I’m starting to see why people are struggling to make money with this. Today we live in a highly competitive age where we expect to compare different travel deals (including flights) at the click of a button. Why would you want to pay an expensive membership fee when you can probably find the same deals or better, for free? Even if the prices are slightly lower, factor in the monthly fees and it just doesn’t make sense. For these reasons building a business with WorldVentures is going to be a hard sell. You’re going to have to really push for those sales. Let’s move on and talk about the World Venture business opportunity. “Trapped in a job you hate? Longing to see the world? Come on, who wouldn’t want that? It pretty much sums up what every one of my readers is looking for in a nutshell! Similar to other multi-level-marketing companies (MLM) like Herbalife, Amway and Younique, World Ventures give you a way to “make a living, living!” by promoting their DreamTrips membership and recruiting other WV representatives into your downlines. Credit where it’s due, they never claim to be a get rich quick scheme, they don’t promise you’ll be a millionaire overnight and they’re very open about the amount of work you’ll need to put in before you’ll see any returns. One thing that immediately stands out to me is the monthly membership fee for the Representative Business System (RBS). Whilst most MLMs have an inital starter fee, World Ventures is the first company I’ve seen that makes it’s representatives pay out just for the ability to make commissions promoting their memberships. So how much it is going to cost you? To get started you’ll need to pay $99.95 (plus taxes) and then it’s $19.99 per month after that. Again, this may vary depending on what country you’re in but whatever the price, my back is already up. I don’t like the concept of paying out before you’ve even made a sale. Why should you have to pay a company to work for them? Do people make money with World Ventures? Of course this could be down to a whole variety of factors but the fact they offer cheap prices for holidays but don’t include flights doesn’t help. The truth is you can find the same prices online for free without making the over-priced membership fees which is why you’re going to be harassing your family and friends to buy a service they don’t want or need. Which is exactly why I think you should only promote products or services you can be proud of. Regardless, let’s just say you’ve paid your memberships for the month and you’re in the lucky 4.93% of WorldVentures reprentatives who actually makes a profit, your next task is going to be to try and get your head around the complicated and confusing commission structures. I’ve spent an hour watching videos, read a ton of blog posts and still, I don’t understand how commissions are worked out! Feel free to click here to view the official World Venture Commission Plan (PDF) or watch the video below to find out more. I suspect (just my opinion) that by creating a commission plan so complex and making representatives jump through a series of hoops to try and meet all of the criteria, the company are saving a boatload of cash for themselves. If World Ventures are serious about helping people succeed, they should make their commissions as simple as possible. “WorldVentures has a virtually inscrutable payout schedule comprising seven ranks and two pyramid-shaped hierarchies. The first pyramid is called the “lineage.” You sit at the top and everyone you’ve personally recruited is added directly below you, and everyone they’ve recruited is below them, and so on. Lineage is factored into rank, which is factored into compensation. The second pyramid is the “binary organization.” Here the pyramid spreads out by twos—the top spot sits directly above a left and a right spot, each of which sits above its own pairs, and so on. I think I’ve already made myself clear on this one but just to reiterate: World Ventures is definitely a pyramid scheme. I’m not a huge fan of pyramid schemes, not just because there’s a better way to make money than harassing your family and friends trying to get a sale. But because word of mouth marketing has proven to be more effective than traditional ad campaigns, the idea behind any direct sales company is to reward people for promoting your products to people in their circle of influence. Reps make the bulk of their money by signing others up as independent business owners under them. Being a pyramid scheme, you’re strongly encouraged to build your downlines because the bigger the team of WV reps under you, the greater your potential for making money will be. As soon as you join you’ll be asked to make a list of the names of your family and friends you can target. The whole structure is about driving new recruits, but since the membership is expensive and offers nothign you can’t find on free comparison sites, you’re going to have an upward battle in signing your famiyl and friends up. Even with the best products and services, people at the bottom of an MLM chain will always lose money with only a few people at the top making any serious money which is why World Ventures has already been banned in a few countries and had numerous cases filed against them in court. Even if you don’t agree that World Ventures is a pyramid scheme, hopefully you’ll admit it’s an MLM. “Companies that use MLM models for compensation have been a frequent subject of criticism and lawsuits. But World Ventures is not just a pyramid scheme, it’s one of the worst I’ve come across. With the monthly fees, you’re always out of pocket before you’ve even started. Thanks to how they’ve set the payment criteria, you don’t start making commissions from your downline until you’ve recruited at least 30 people. World Ventures run a ‘binary downline’ structure meaning both sides of your team have to meet sales criteria before you get paid. Selling an overpriced membership fee to get access to what you can find online for free is an uphill battle when there’s simply no demand for it. “MLM is a grind. When reps fail to make money, they’re taught to blame themselves. Reps are also heavily encouraged to spend their own money on WorldVentures’ myriad training events, which can range from $29 to hundreds of dollars to attend. There are some people, even if only a tiny percentage, who are making money with this so I don’t know if I can call it an outright scam, but there are definitely a lot of shady things going on. After doing a bit of digging, I found out that the World Ventures founders, Wayne Nugent and Mike Azcue, were both convicted of tax fraud in 2004. You can view the court documents here (PDF). I’m pretty sure tax fraud doesn’t come under the “trust ad transparency” category. I’ve also seen a lot of under-handed, high pressure tactics used by some reps to get people signed up. Whilst I totally get that the actions of a few reps doesn’t mean the whole company is a scam, it does give you an insight into the culture of the business. Reading texts like these makes me very uncomfortable indeed as it shows just how some reps are taking advantage of people in financially difficult situations by promising them a way out, but instead of helping them put money in their pocket, they take it. Is this an ethical way to run a business? Here’s a quick list of court cases I’ve been able to find so far. If you know of others please share in the comments below and I’ll make sure they’re added to this list. In September 2011 World Ventures was taken to court by the Cyrpus Chamber of Commerce and fined €50,000 because of the lack of transparency in their commission structure. In 2014, the Norwegian Gaming Board ruled that World Ventures are an illegal pyramid scheme and they are not banned from operating in Norway. World Ventures lost their appeal. Read the full story here. In Norway the big question looked at by the courts was whether or not more than 50% of money made by World Ventures was made through recruitment of new members. The owners convicted of tax fraud, over-priced memberships, deemed an illegal pyramid scheme in may countries, is this really the kind of business you want to get involved with? According to the Better Business Bureau they have heard from many members who report being given exagerrated earnings claims and misleading information prior to signing up and a failure to give refunds for cancelled memberships. As an entrepreneur, I am all for self-empowerment and making the most of opportunities. I love the idea of people becoming finanically independent by starting a home business of their own but with World Ventures you don’t actually own your own business and you’re not in control. The guys at the top can change the commission structure at any time and because of their past history, I wouldn’t want to be putting the future of my financial security in their hands. Not only is World Ventures a pyramid scheme, they have the highest rate of failures with 80% of reps losing money. I think this is due to the overly complex compensation plan and the fact that the expensive DreamTrips membership won’t give you access to any more than a quick Google search would. Ultimately it’s your decision whether or not you become a World Venture representative but from everything I’ve seen, you won’t make money from this and it’s not a legitimate business opportunity. 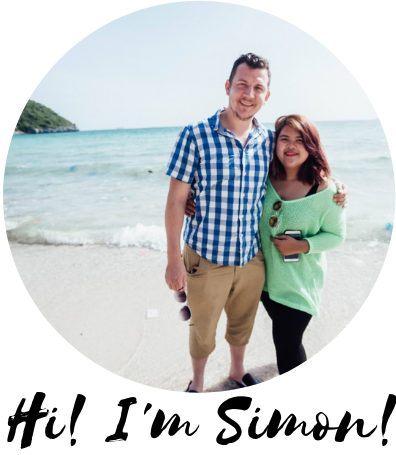 After searching for years for a way to make money online so I could leave my UK job behind and travel across south east Asia, I found a training program called Wealthy Affiliate that taught me how to create an internet business for myself. You can check out my full Wealthy Affiliate review here. 12 months later I replaced my full-time income and booked a one-way ticket to Thailand. 3 years on and I’m currently making around $6,000 a month and it’s growing month on month. There’s a lot of work involved upfront but once you set things in motion, it’s pretty passive. my online income enables me to work as a full-time volunteer to this day. After reviewing many so-called get rich quick schemes and make money online programs, Wealthy Afiliate’sfree beginner’s course is my number one recommendation for beginners looking to create a thriving online business for themselves. It’s 100% free to get started! If you have any questions or comments at all, be sure to leave them below. I’d especially like to hear from anyone who has had any experience with World Ventures, good or bad. Court cases, tax fraud, man, these “too good to be true” schemes are geting old real fast! I can see how an offer like the one World Ventures is putting out on the net can be so alluring for an unsuspecting crowd. They offer the ultimate escape: geting payed for exploring the world! Now doesn’t that sound nice? Too nice, if you ask me! Why does the MLM business model attract such low integrity companies, I will never know. I am not saying they are all bad. Generalizing isn’t the way to go either. I have been in MLM companies like Xango LLC and, many years ago, in AMWAY and, though not succeeding in neither of these, I nevertheless learned quite a bit about sales, marketing and business management. However…I beleive these are the rare exceptions. Thanks for a great, cautionary article. The premise remains very enticing. Do you think there are legit companies out there, that offer similar travel opportunities, but which hold higher moral and integrity standards? If so, then count me in! Hi Luis, thanks for sharing your experience. I too was involved with Amway for about 6 months and I had a really good upline, built a team of 3 or 4 under me. I tried selling door to door offering free cleaning samples, helped my team host make-up parties and all of that jazz. But as with most MLMs the products were way overpriced and you couldn’t order online which meant driving round delivering door to door. Now I think MLMs are starting to embrace the digital age more but my biggest gripe with World Ventures is how the commission is set up. If they really want to help you live the laptop lifestyle and empower you with the products and structure you need to be successful then why make it so difficult to understand? Why not have a single commission rate and stick to that. Nice, simple, easy. The fact they put some many obstacles in the way of their representatives getting paid sets alarm bells going off – do the leaders really have your best interests at heart? I feel that you are very brave in covering WorldVentures. Twice I have been dragged into a WorldVentures meeting to get me to sign up. Common sense told me that this was not going to be the business opportunity for me. For one, each time I went to a presentation, the actual concept was kept hidden until the big reveal. I find this shady, why do I not even know what I am attending? The first time I went by accident when I had to pick up a friend from the meeting. The second time I walked into the wrong conference room and had to sit for a good while before I realized that it was actually a WorldVentures presentation. Thanks for your post, man. Traveling is awesome if that’s what you want to do. Whenever you’re looking at potential work from home opportunity alway look for how transparent they are with how you’ll make money. If it’s all hype and sales talk and motivational success stories without actual substance as to how the business model works, that’s definitely a red herring. Thanks Ade. I love living here in Thailand, it feels more like home now than the UK does and it’s only because I started an online business that I can volunteer full-time and do what I love to do. All the best to you!